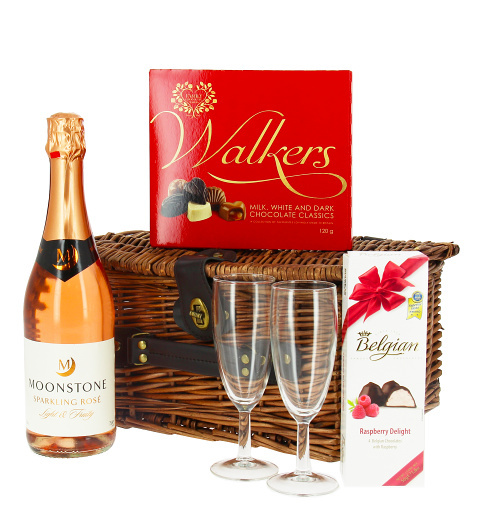 Beautifully packaged inside a wicker basket, the lucky recipient of this gift will receive a refreshing bottle of bubbly along with some delicious chocolates. We have also included a pair of flute glasses ï¿½ perfect for celebrating any occasion! Spoil somebody special for their birthday or special anniversary.